This silicone watch is not only fashionable, but comfortable as well. 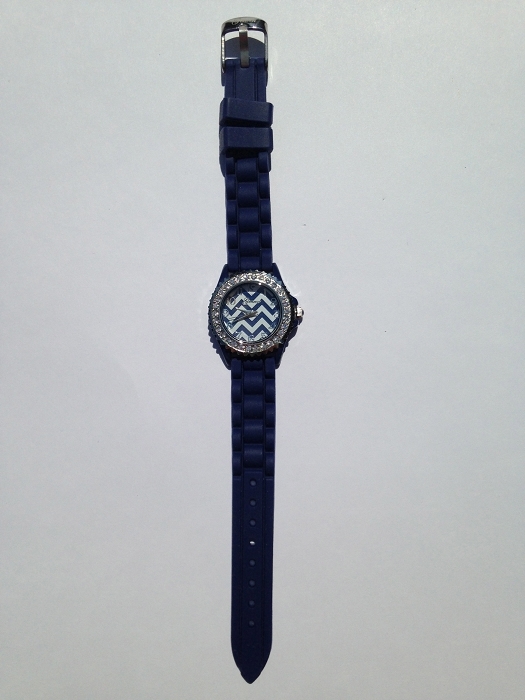 The rhinestone surrounding the face of the chevron watch gives it the perfect touch. This watch makes the ideal present for anyone you are looking for!